WED 19 SEP at 7PM :: Join Teddy Abrams at our ALL IN Vinyl Launch Party brought to you by our good friends at Crosley. Stop by at Gravely Brewing for a casual opportunity to say hello and to get your copy of the limited edition LP version of the chart-topping ALL IN release for $40. 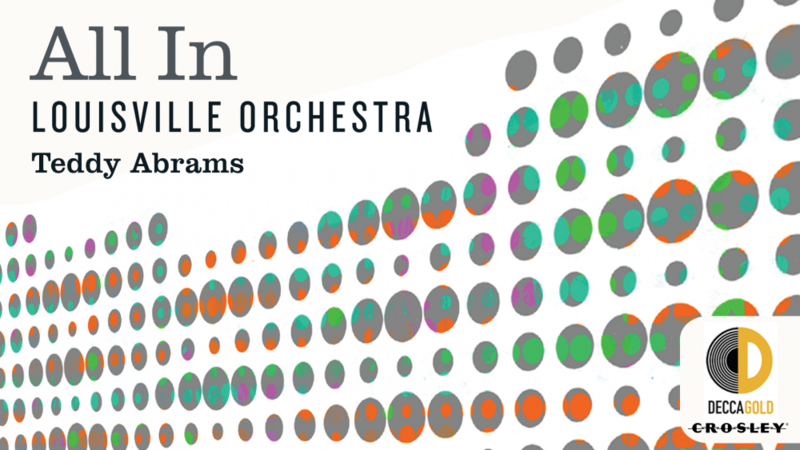 Teddy will talk about the excitement of releasing the first Louisville Orchestra recording in nearly 30 years. He’ll also share insights about the upcoming season of concerts. PLUS! Be the first to see the custom turntable created exclusively for the Louisville Orchestra! Place an order to get your very own. No RSVP. No admission charges. Ticketless Free Event. Everyone is Welcome!